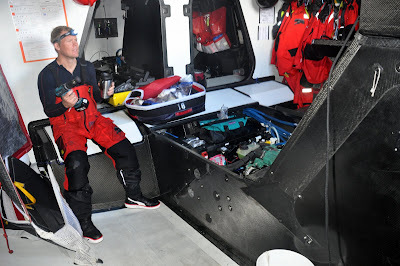 PUMA have sustained serious structural damage for the second time in 24 hours and are considering whether to re-route away from the rest of the fleet to Cochin. 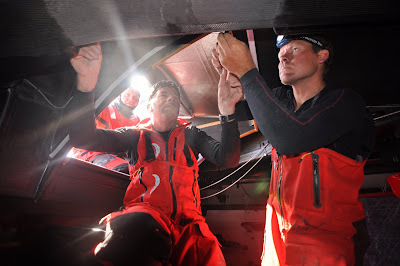 The night before last, they crashed off a wave which caused several cracks in the longitudinal frames of the bow section. They bent the bow pulpit and shredded an asymmetric spinnaker in the process. 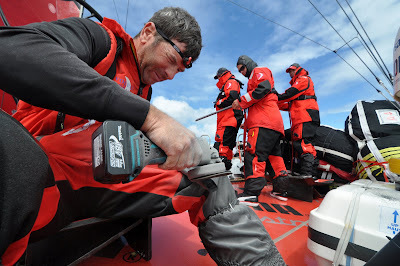 The fix took seven hours but cost PUMA little in time to their rivals at the head of the fleet. Then at 04:30 GMT this morning, as the fleet blasted along in 25 knots of squally southern ocean, they suffered a further blow when the boat was launched off another wave.